Tirupati Temple make millions but what do they give to people? Tirumala Balaji temple do make money in millions but they do donate it. There are many trusts and schemes which helps the poor. Some of the trusts are mentioned below. Sri Venkateswara Pranadana Trust aims at providing free medical facilities to poor patients afflicted with life threatening diseases related to the heart, kidneys, brain, cancer etc., for which the treatment is expensive. The scheme also proposes to encourage research and development in the treatment of diseases / conditions like chronic renal failure, hemophilia, thalassamia and cancer. Basic amenities including blood-bank, artificial limbs, physiotherapy, tools and implants will be provided to poor patients, free of cost. This scheme is applicable to all poor patients, irrespective of caste, creed or religion. Treatment will be provided at all TTD-run hospitals – SVIMS, BIRRD, SVRR and the Maternity Hospital. Sri Venkateswara Nithya Annadanam Scheme provides free meals to the pilgrims in Tirumala. The scheme was started on a small scale in 6-4- 1985, with food being served to around 2,000 persons a day. Today, free food is served to nearly 30,000 pilgrims a day. The number increases to about 50,000 pilgrims a day during festivals and other important occasions. Recently free food is being supplied to the waiting pilgrims in Vaikuntam Complex -11 with free tiffin, lunch and dinner to about 15,000 pilgrims per day. Free food is also served to nearly 2000 patients a day in the TTD managed SVIMS, BIRRD, Ruia and Maternity Hospitals. Sri Balalji Institute of Surgery, Research and Rehabilitation forthe Disabled (BIRRD) Trust is a premier medical institute, that treats patients suffering from polio myelitis, cerebral palsy, congenital anomalies, spinal injuries, and the orthopaedically handicapped. It comprises a centrally air-conditioned hospital with the latest medical equipment, built byTTD at a cost of Rs. 4.5 crores. BIRRD makes use of state-of- the- art medical technology and provides services to the poor, at no cost. It also distributes artificial limbs, calipers and aids, free of cost, to the needy and the poor. Food and medicine are supplied free of cost. TTD accepts generous contributions from the philanthropists to this reported medical institute. Towards cost tothe inpatients ofthe BIRRD. The T.T.Devasthanams has undertaken various social and welfare activities in fulfillment of its Motto of “SERVING THE LORD BY SERVING HUMANITY”. With a view to give a helping hand to the destitutes and orphans, the TTD has established Sri Venkateswara Balamandir in Tirupati in the year 1943. Children, both boys and girls, who have no parents as well as those whose father expired and mother is unable to bring up the children and vice-versa are admitted to this institution. The TTD is providing accommodation, food, clothing and education to the children admitted to Sri Venkateswara Balamandir from 1st class onwards. The children are given education upto graduation in TTD run schools and colleges. Meritorious students are also given coaching for EAMCET. It is the motto of the TTD to see that orphans admitted to the Balamandir live on their own. Give a helping hand to the orphans. The TTD has created a separate Trust for improving this Institution with following objects. (a) To run an Orphanage for orphans, destitutes and disadvantaged children of both sexes; (b) To provide free accommodation and boarding to orphans, destitutes and disadvantaged children; and (c) To provide free education to these children. upto post graduation and professional courses like MBBS and Engineering. Our Temples symbolize India’s hallowed calture and sanatana dharma. Temples, which are the repositories of sculpture, paintings, music, literature, dance and other art forms, are built for the prosperity and well-being of all people. 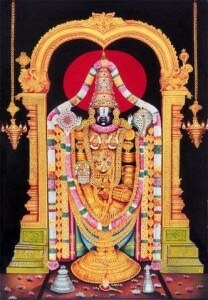 According to sastras, God monifests Himself in the images and fulfils the desires of the devotees on account of the spiritual penance of the great sages who consecrated the deities in the temples and the regular rituals performed there and due to the enchanting beauty of the idols, which conform to the silpa agamas. It is the bounden duty and responsibility of every Indian to preserve these temples, which are the centers of vedic culture, to renovate any dilapidated portion of the temples or rebuild them. It may be the vimana or prakara, balipeetha or dwajasthambha or it may be even the main idol. It is said natural disasters like flood and drought may occur not only in the villages where such ruined temples are located but also in the entire country. 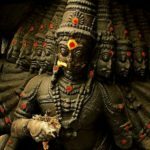 Many acharyas have expressed their displeasure as raising new temples indiscriminately and stressed the need for preserving the ancient temples, consecrated by the great sages-they may be temple – like edifices, which reflect the glory of vedic culture and religion or places of archeological interest. it is an uphill task for individuals alone to undertake their preservation and renovation. With a view to accomplish this lofty aim, Tirumala Tirupati Devasthanams has launched ‘Sri Venkateswara Heritage, Preservation Trust’. ‘Karta Kartayite chaiva preraka syonu modaka’ which means one who organizes or execules a noble task, encourages, approves and derives pleasure from it, enjoys all fruits of such a merilorious act. We earnestly appeal to all philathropists to contribute generously to ‘Sri Venkateswara Heritage Preservation Trust and participate in this sacred endeavor. There is need for renovating dilapidated temples in every village and in every town for universal welfare. Lord Sri Venkateswara did it. In ‘Sri Venkatachala Mahathyam’ Lord Brahma became a cow, Lord Siva became a calf and Sri Lakshmi become a Yadava maid and both the cow and calf were sold to Chola king by Sri Lakshmi in a bid to provide milk to meditating Srinivasa in Venkatachalam. There also He protected the cow from the curse of its herdsman. The Lord did it, we do it. Sri Venkateswara Gosamrakshana Trust is established for protecting the cow and emphasizing the spiritual importance of the cow apart from its economic aspect. The Tirumala Tirupati Devasthanams proposes to create a modern Gosala at Tirupati with all the facilities for maintaining the bovine population. Cow is the greatest blessing of human race, lands grow rich, homes flourish and civilization advances where the Cow is kept and cared for. The Trust also aims at improving the living conditions of cows outside Goshala by providing technical inputs to the general public. The S.V. Dairy Farm, TTD, Tirupati supplies milk and curd to all the TTD Temples for rituals, prasadams, Abhishekhams etc., to the service institutions like S.V. Balamandir (Orphanage), SV.Deaf and Dumb School, S.V. Training Centre for the Physically handicapped, S.V. Poor Home (Leprosy Hospital) S.V. Vedapatasala, S.V. Oriental College Hostel, TTD Hospitals, “Annadanam” scheme of TTD etc. Goddess Sri Padmavathi Devi of Tiruchanoor, the divine consort of Lord Venkateswara, is the immeasurable ocean of compassion and love. She is renowned as Annalakshmi, who grants peace and plenty to the seekers. This scheme provides forthe distribution of prasadam, free of cost, to pilgrims at Sri Padmavathi Ammavari Temple, Tiruchanoor, on a continous basis, during the temple working hours. Donations can also be sent for free distribution of Annaprasadam to the pilgrims on the occasion of Panchami –Theertham clebrated during Sri Padmavathi Ammavari Annual Brahmotsavams held every year. 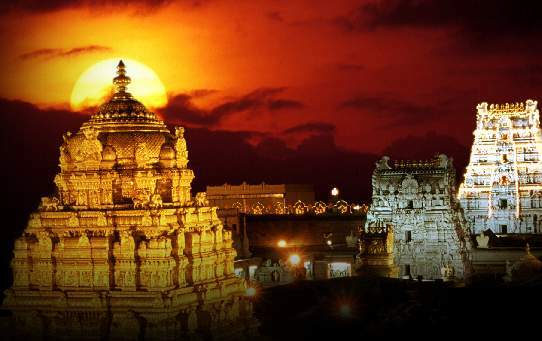 For ages, Tirumala, the abode of Lord Venkateswara, has been a great centre of pilgrimage. Thousands of devotees visit the sacred Hills every day and offer their solemn prayers to the Lord for their spiritual and physical well-being. Alleviating human suffering has been a part of dedicated efforts of TTD to the mankind. TTD already manages a Leprosarium, centre for physically handicapped, a poor home and also a central hospital. To provide the most advanced medical technology to the needy, the TTD has launched another remarkable institution a blessing from the Lord Sri Venkateswara Institute of Medical Sciences a sophisticated super speciality center on the lines of AIIMS of New Delhi, JIPMER of Pondichery and PGIMS of Chandigarh. Total well being of man is the aim of Sri Venkateswara Institute of Medical Sciences, which apart from offering service, training and education in medical sciences also facilitates Research and Development. 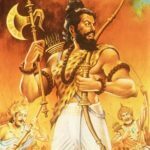 It is the fervent desire of the Devasthanams that the doors to such a state of the art technology should be open to our poor and disabled breathren. With a view to achieving this goal, Sri Venkateswara Institute of Medical Sciences has introduced a new scheme, Balaji Arogyavaraprasadini Scheme. To accomplish the goal of making available the cutting edge medical technology to every individual at an affordable rate, we invite the generous cooperation of philanthropists and the general public.